Like the book, the museum recounts the story of a character named Kemal and his obsessive quest to preserve the memory of an eight-year romance with a beautiful young woman named Fusun by cobbling together her personal effects and assorted ephemera from Istanbul in the 1970s. As the novel progresses, Kemal’s memories become reveries, and Fusun’s bric-a-brac displaces Fusun on the altar of Kemal’s heart. The museum, which is said to be Fusun’s former residence, is located in a red, four-story house on a quiet street in Istanbul’s Cukurcuma neighborhood, a sliver of the Beyoglu quarter aptly known for its galleries and antique stores. No prior knowledge of the novel is necessary (although the book comes with a free ticket). Notes from Kemal, Pamuk’s protagonist, put the pictures, artifacts, and installations into the context of the doomed affair. 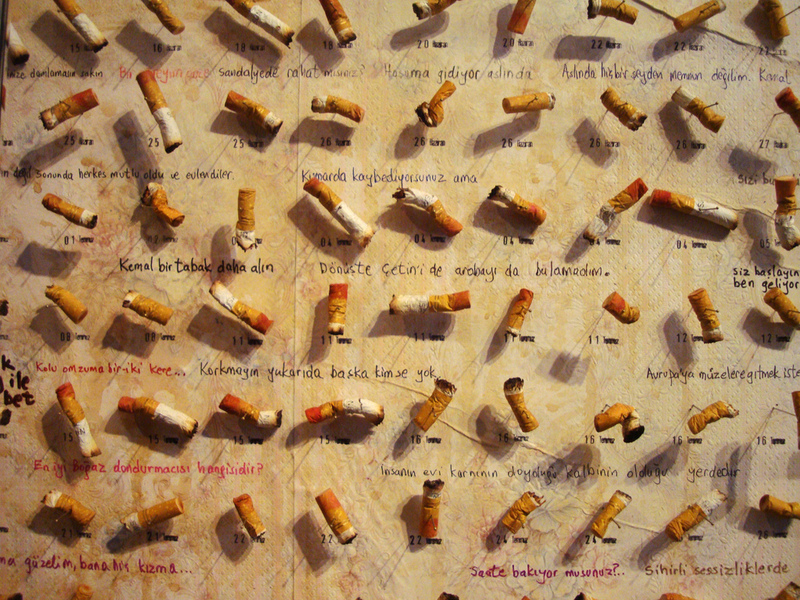 On the first floor, on the far wall, there is a framed collection of 4,213 Samsun cigarette butts, some lipstick-smeared, some snuffed out hurriedly, all smoked, Kemal’s note tells us, by Fusun. Like a lepidopterist’s butterfly specimens, the cigarettes have been dated, annotated, and pinned to a sheet of nicotine-stained wallpaper. The top floor is the site of the ultimate conflation, the place where the museum, the novel, and Pamuk (author, curator, Istanbul-native) come crashing together. We find in the room, alongside Kemal’s iron bed, nineteen spiral-bound notebooks in which Pamuk penned “The Museum of Innocence” over the course of several years. Some pages contain color illustrations, seascape scenes scribbled down from the hotel window where Pamuk worked. Others contain the outline for the museum, right down to the details of the display cabinets. The room is a striking, if slightly disturbing, testament to the arrant nature of the creative process. A novelist and his protagonist have rarely seemed more kindred. 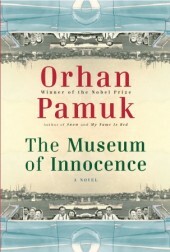 We suspect that for Pamuk, the idea behind the Museum of Innocence has been a longsuffering infatuation, as sweet, necessary, and controlling as Kemal’s reminiscences of young love.